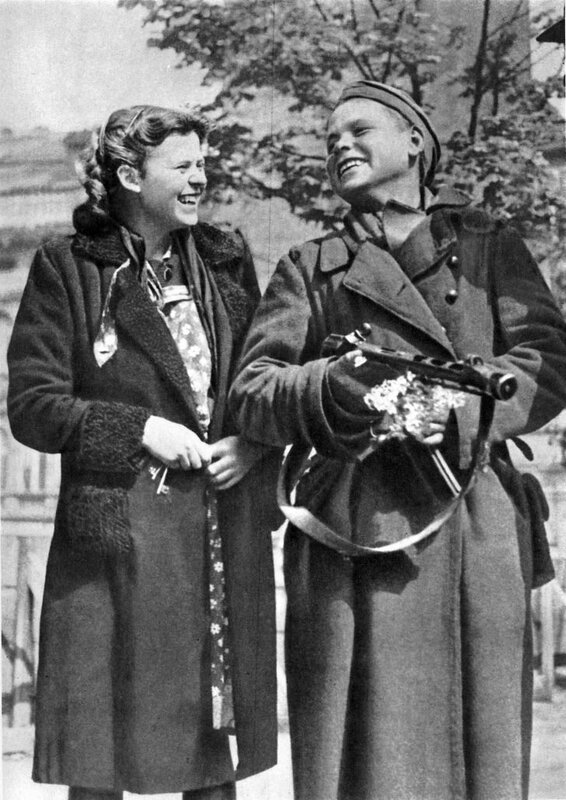 A Czech soldier who was presented with flowers speaks to a resident girl in Prague. The compilers of the Czech printed album “For All Times” saw in this photo a symbolic detail: in the hands of a soldier at the same time symbols of war and peace – PPSH-41 submachine gun and flowers. The Czechoslovak Army Corps took part in the liberation of Prague (the Czechoslovak Combined Arms Force as part of the 4th Ukrainian Front of the Red Army).